Quiz: This beautiful mind was promoting game theory long before Cold War think tanks used mathematics to understand strategic maneuvering. Plotting, as a result, has never been the same. Is it John Nash, the Nobel Prize–winning mathematician portrayed in a 2001 Oscar-winning biopic? John von Neumann, game theory's founding father? Go back further, much further, urges a UCLA game theory expert and fan of 19th-century novelist Jane Austen. 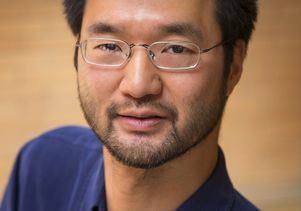 "Austen's novels are game theory textbooks," Michael Suk-Young Chwe writes in "Jane Austen, Game Theorist," which Princeton University Press published April 21. "She's trying to get readers to use their higher thinking skills and to think strategically." At its most basic level, game theory assesses all the choices available to two (or more) people in a given situation and assigns a numerical value to the benefit each person reaps from each choice. Often, the choice that is most valuable to one player comes at the expense of the other; hence, game theory's best-known phrase — "zero-sum game." But just as frequently, there is a choice with unexpected benefits for both players. "In game theory, you make choices by anticipating the payoffs for others," Chwe explains. 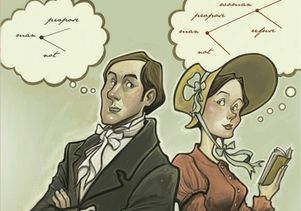 Chwe argues that Austen explores this concept in all six of her novels, albeit with a different vocabulary than the one used by Nash, von Neumann and other game theory greats some 150 years later. In Austen's romantic fiction, this type of strategic thinking is described as "penetration," "foresight" or "a good scheme." In "Pride and Prejudice," for instance, Mrs. Bennet, a mother eager to marry off her five daughters, sends her oldest, Jane, on horseback to a neighboring estate, even though she's aware a storm is on the way. "Mrs. Bennet knows full well that because of the rain, Jane's hosts will invite her to spend the night, thus maximizing face time with the eligible bachelor there, Charles Bingley, whom Jane eventually marries," Chwe said. 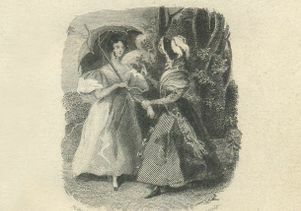 In "Persuasion," the unmarried heroine, Anne Elliot, is approached by Sophia Croft, the sister of a man whose marriage proposal Anne spurned eight years earlier — a decision she still bitterly regrets. Mrs. Croft casually asks Anne whether she's heard that her brother has married. Anne flinches, thinking the reference is to her former beau, Captain Frederick Wentworth, but relaxes upon learning that Mrs. Croft is actually referring to their younger brother, Edward. 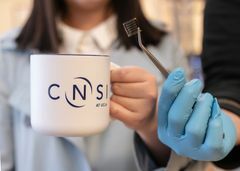 "It's hard to imagine a better way for Mrs. Croft to gauge Anne's visceral interest in her unmarried brother," said Chwe, a UCLA associate professor of political science (whose last name is pronounced like "chess" without the "ss"). The rest of the novel involves schemes to give Captain Wentworth so many signals of Anne's enduring love that he finds the courage to propose to her again. And readers may recall how, in "Mansfield Park," the 18-year-old heroine, Fanny Price, intervenes when her 5-year-old sister, Betsey, brazenly appropriates a knife that had been given as a gift to their older sister, Susan, by their departed sister, Mary. 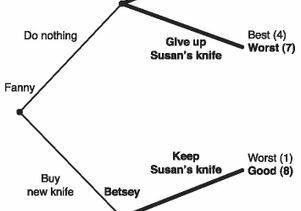 Calculating that the youngster is more interested in the object itself than its sentimental value, Fanny buys a new knife and gives it to Betsey. In response, Betsey returns the keepsake to Susan, and domestic harmony is restored. The incident so clearly demonstrates game theory for Chwe that he illustrates it in his book using game theory's mathematical language: the matrix and decision tree. By Chwe's count, more than 50 such strategic manipulations appear in "Pride and Prejudice," "Sense and Sensibility," "Persuasion," "Northanger Abbey," "Mansfield Park" and "Emma." Indeed, the entire plot of "Pride and Prejudice," which ranked second in a 2002 BBC poll of the 200 best novels in the English language, can be seen as a series of manipulations and schemes, Chwe contends. In many cases, by making tough choices and predicting how others will respond, Austen's young, often financially deprived heroines triumph over seemingly stronger forces, including well-to-do men and older women of higher status, he argues. In so doing, they find happiness and — just as importantly in an era with limited employment and inheritance possibilities for women — financial security. 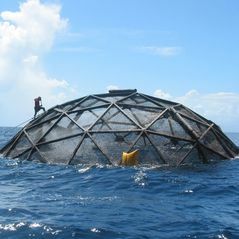 "They build a theory of strategic thinking," writes Chwe, "not to better chase a Soviet submarine, but to survive." And such machinations don't just enable beloved characters to lure mates; they allow them to bond and fall in love. "Austen argues that strategic partnership, two people joining together to strategically manipulate a third person, is the surest foundation for friendship and marriage," Chwe writes. Although whiffs of game theory have been discerned in writings as old as Plato, its conventional history begins with the 1944 publication of von Neumann's seminal "Theory of Games and Economic Behavior." The techniques gained prominence as a means of anticipating attacks and counterattacks among superpowers during the Cold War, and they played a role in determining the quantity and positioning of U.S. nuclear warheads. Today, game theory is more frequently deployed in non-military applications, particularly in business and economics. 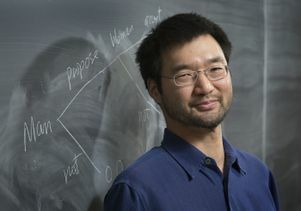 Chwe, in his more traditional research, applies game theory to the dynamics of political protests, but he is no stranger to unconventional approaches, having studied the ways in which slave folktales such as Brer Rabbit and the Tar Baby embody key principles of strategic thinking. 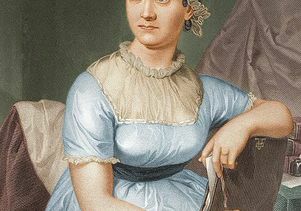 Still, no one had considered Austen as an unheralded pioneer of game theory until Chwe stumbled on her work at age 40 after taking his son and daughter to see the film "Clueless," a 1995 romantic comedy loosely based on "Emma." Set in late 20th-century Los Angeles, the movie follows a scheming Beverly Hills teenager as she blunders in her matchmaking attempts. Soon the game theorist was reading one Austen novel after another, shaking his head at her seeming obsession with the nuts and bolts of his discipline — choice, preference and strategy. In the tales of women dependent on men, Chwe came to see a parallel with African American folktales about slaves struggling for autonomy. "Game theory," he said, "may be associated with hegemonic Cold War strategy, but it's also one of the original weapons of the weak." Chwe sees Austen's heroines as possessing strategic abilities in different measures. Calm and level-headed Elinor Dashwood ("Sense and Sensibility") and feisty and clever Elizabeth Bennet ("Pride and Prejudice") are set up from the beginning as master strategists. One of the reasons "Pride and Prejudice" is so popular, Chwe contends, is its heroine's aptitude in this regard: "Elizabeth is always doing this rapid-fire strategic stuff." Meanwhile, he sees motherless Anne Elliot ("Persuasion"), one-time tomboy Catherine Morland ("Northanger Abbey") and Fanny Price ("Mansfield Park") as characters who develop strategic skills as the novels progress. At the other end of the spectrum is Emma Woodhouse ("Emma"), whose scheming nearly prevents her gentlemanly neighbor George Knightley from proposing to her. The heroine embodies the hubris of being "overstrategic." But it's with her least strategically adept characters that Austen may actually tread on the boldest frontier, Chwe contends. Remember Lady Catherine, Fitzwilliam Darcy's imperious aunt in "Pride and Prejudice," who demands that the heroine, Elizabeth, promise not to marry him? When Elizabeth refuses, Lady Catherine reports the response to Mr. Darcy as an example of the young woman's impertinence, disregard for social rank and general unsuitability for him. But what Lady Catherine fails to anticipate is that Mr. Darcy still has feelings for Elizabeth. So when his aunt conveys the news, it emboldens him to propose, signaling to him that Elizabeth would likely accept. Lady Catherine's efforts blow up in her face. What is Chwe's phrase for this tendency that has yet to be mathematized by modern game theory? Prepare yourself because it is a bit technical: "Cluelessness."